Here is a free sweater knitting pattern, you can use to make a few women's designer sweaters. This may be an oldy but it is still a good basic pattern. All you need to do is update the colors. It is a quick-knit raglan sweater with mohair trim as an added feature. Directions are given for size 12 with changes in parentheses for sizes 14, 16 and 18. To knit up this fashionable one-piece sweater you will need 10 (10, 10, 12) ounces knitting worsted for main color, 1 ball contrasting mohair yarn for trim, one pair each sizes 6 and 10½ standard knitting needles and 6 small buttons. Row 1: K 2, * sl 1, k 2, repeat from * across row. Row 2: K 2, * bring yarn for-ward, sl 1, take yarn back, k 2, repeat from * across row. Row 3: Repeat row 1.. 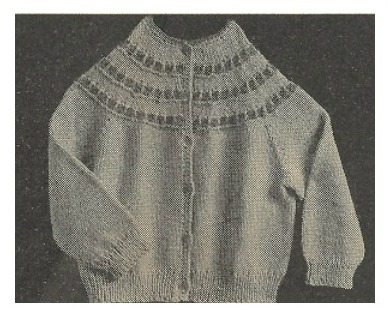 This free sweater knitting pattern is started at the yoke rather than the back hem. You will be working your way down instead of up. Starting at neck edge with size 6 needles and MC, cast on 65 sts. 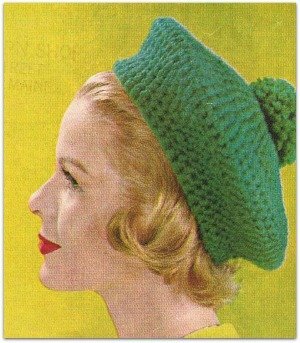 Change to number 10½ needles and work 2 rows in stockinette st.
K 5, * inc 1 st in next st, k 3, repeat from * across row (80 sts now on needle). Join mohair and work 4 rows of mohair pattern. Join MC and k 1 row. K 5, * inc 1 st in next st, k 4, repeat from * across row (95 sts). Work 4 rows stockinette st, starting with a k row. K 5, * inc 1 st in next st, k 5, repeat from * across row (110 sts). Join mohair and work 4 mohair pattern rows as before. K 5, * inc 1 st in next st, k 6, repeat from * across row (125 sts). Work 4 rows stockinette st, be-ginning with k row. K 5, * inc 1 st in next st, k 7, repeat from * across row (140 sts). Join mohair and work 4 pattern rows. K 5, * inc 1 st in next st, k 8, repeat from * across row (155 sts). 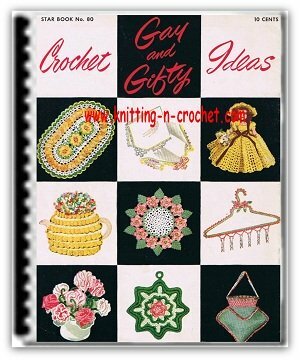 Next Row: P 24 for right front, place marker on needle, p 29 for right sleeve, place marker on needle, p 49 for back, place marker on needle, p 29 for left sleeve, place marker on needle, p 24 for left front. K across row, inc 1 st in st before and st after each marker. 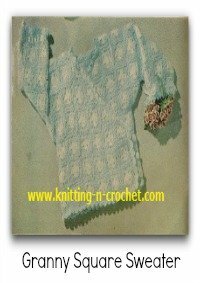 Working the sleeve area of this free sweater knitting pattern. Repeat these 2 rows 5 (7, 9, 11) more times, ending with inc row—203 (219, 235, 251) sts on needle. P to first marker and place sts on holder, p to second marker and place remaining sts on holder, keeping markers in place. Right Sleeve: Cast on 5 sts at be-ginning of next 2 rows. Work in stockinette st for 2 inches. Dec 1 st each end of needle on next row and every 11/2 inches thereafter until 41 (43, 45, 47) sts remain. Work even in stockinette st until piece measures 11 inches from cast-on sts or until sleeve is desired length. Change to size 6 needles and work 2 inches ribbing (k 1, p 1), dec 1 st on first row. Bind off. Join yarn at back sts. P to next marker, place back sts on holder, p to next marker for left sleeve. Finish left sleeve as for right sleeve. Join yarn at left front and p remaining sts. K left front sts, cast on 10 sts for underarm, k back sts, cast on 10 sts for underarm, k right front sts—141 (149, 157, 165) sts on needle. Work even in stockinette stitch until piece measures 7 1/2 inches from underarm. Change to number 6 needles and work in ribbing of k 1, p 1 for 2 inches, dec 1 st on first row. Bind off. Join underarm seams. With MC work 2 rows sc around next edge, holding neck in to desired width. With right side of work facing, work 1 row sc along edge, working 2 sc in corner at neck edge, turn, sc in first st, ch 2, sk 2 sc, sc into edge. Form 5 more buttonholes in same manner at even intervals. Work 1 more row sc, working into sc of previous row and chains of buttonhole. Fasten off. Work 3 rows sc along left front edge. Sew on buttons. With mohair work 1 row sc around neck edge. Fasten off. 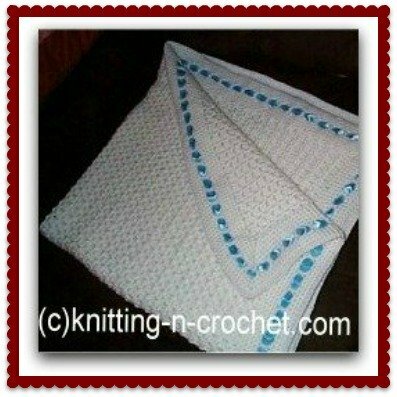 If you like this free sweater knitting pattern, look around and you will see we have many more to offer.